Big Data & Data Science Blog: What do Big Data, Algorithms and Netflix have in common? What do Big Data, Algorithms and Netflix have in common? Netflix has become a worldwide phenomenon with over 98 million customers streaming worldwide. The amount of data generated from that amount of users can be directly reinvested in the service they provide, which ultimately leads users worldwide to be happier with their service. As Netflix is an internet company they can really get to know their customer even better than a traditional television network. Big Data is at the core of the success for Netflix, now let's analyse how. Figure 1: Netflix have access to a wealth of data from extensive customer base. The main algorithm that Netflix have disposal of is the "recommendation algorithm". Netflix start their process of getting to know their customers from the get go. They are asked to rate their interest in movie genres and rate any movies they've already seen. Doing this up front allows Netflix to really incorporate the desires of the user into their service which will in turn increase engagement. The following example highlights the importance of Big Data and how Netflix have been able to use it to their advantage. Before giving the go ahead for House of Cards they already knew that firstly the British version of House of Cards had been well watched. Secondly, those who watched the British version of House of Cards also watched Kevin Spacey films and/or films directed by David Fincher. This combination of factors had a lot of weight in Netflix's decision to make the $100 million investment in creating a U.S version of House of Cards. Jonathan Friedland, Netflix Chief Communications Officer, says "Because we have a direct relationship with consumers, we know what people like to watch and that helps us understand how big the interest is going to be for a given show. It gave us some confidence that we could find an audience for a show like House of Cards." Big Data had the power to give Netflix factual information that allowed them to make strategic and well informed business decisions. Another interesting analysis that Netflix can carry out is the completion rate of a series. Netflix could ask themselves hhow many people started watching Daredevil and continued watching the rest of the series? This can then lead them to ask, "Where was the common cut off point for their users? What did the other 30% of users do who stopped? How big of a time gap was there between when consumers watched one episode and when they watched the next? This can give Netflix a good idea of the overall engagement of the show. 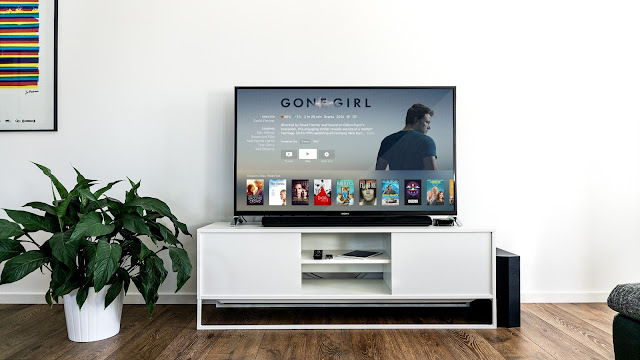 Although the success of every show on Netflix was not predictable, what analytics and data can do is give you insight so you can run a better business and offer a superior product. People with data have an advantage over those who run on intuition or "what feels right". Of course at LUCA we stand behind this mantra and hope to collaborate with businesses who want to start making data-driven decisions.